This happy little guy is just trying to keep warm. Someone knit him a lovely set of mittens for all his tentacles, and a matching hat. I decided that, since they don’t really have thumbs, squid mittens should just be called squittens. Also, it’s really fun to say. 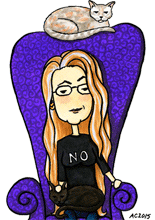 You can get him or any of my other squid greeting cards at Etsy, or buy his original with the button above. 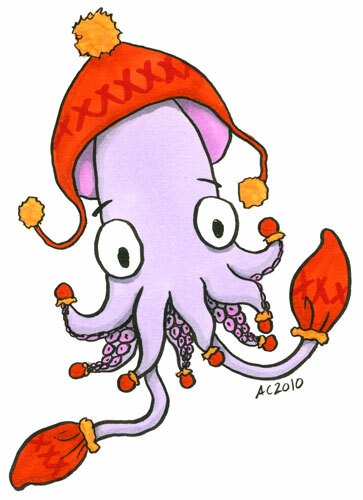 Squid With Mittens, 5″x7″ pen and ink and copic markers on watercolor paper.